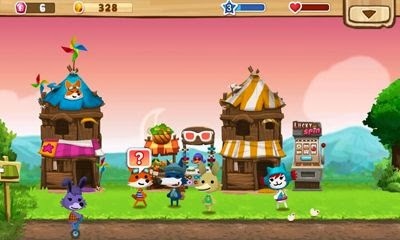 In Happy Street you can build a uniquely charming village, limited only by your imagination. You will discover a living world full of funny and customizable characters.Explore a variety of places, such as the peaceful forest where you can fish, sculpt, craft and cook. Let your imagination run wild and develop a village that is truly unique to you, including a train, a giant museum, a hotel to invite your friends, and much, much more. Experience new technologies such as planes, jet packs, robots and even UFO's! 5/5 "Insanely fun. Easy to understand but yet challenging." 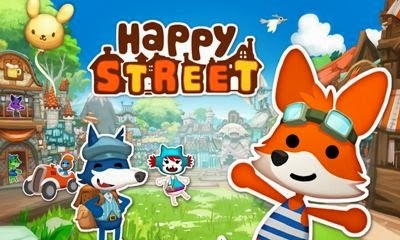 5/5 "No other game like this has held my attention for even 10% as long as Happy Street has." 5/5 "This is my fave game. The developers are always doing updates, which makes it even better. It never bores me. I highly recommend for all ages, young and old!" 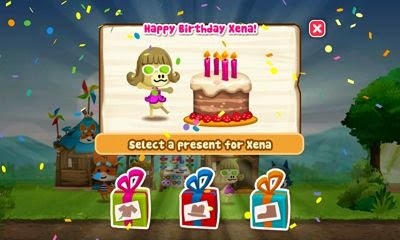 5/5 "Cute game with great graphics, nice music, fun sounds, and a positive vibe." 5/5 "It's fun and addictive once you start playing it and you will never get bored." • Enter a world with living characters. Meet Billy who dreams of becoming a pilot, Zoe the geek, Nyok who cooks weird meals, Pepin the stingy wolf.